—David Chevalier, CEO, Blue Hawaiian Helicopters. 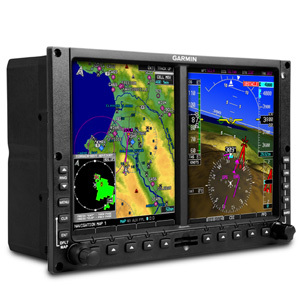 Engineered for safety and reliability, the G500H dual-screen electronic flight display provides an affordable flight solution that meets the needs of the most demanding helicopter missions. G500H has received FAA STCs for installation in the Robinson R44, Bell 206 series and Bell 407, as well as the Eurocopter AS350B2, AS350B3 and EC130B4. 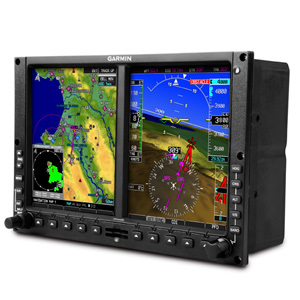 Dual 6.5" LCD screens, mounted side-by-side in a single bezel, put Primary Flight Display (PFD) and Multi-Function Display (MFD) capabilities right in front of you for easy scanning and interpretation. 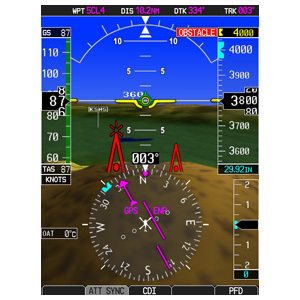 The PFD screen shows attitude, airspeed, altitude, climb rate and course/heading information, while the left side MFD provides detailed moving-map graphics with the helicopter’s current position in relation to ground features, chart data, navaids and flight plan routings. Both screens are Class B night-vision goggle friendly for use with an array of optics. 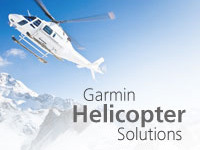 Specially adapted to the needs of helicopter operators, our HSVT brings a powerful graphical perspective. Available as an option, HSVT can make a world of difference when visibility is less than ideal. HSVT gives you a clear depiction of ground and water features, airports, obstacles, traffic and more — all shown in 3-D perspective on the primary flight display. It uses sophisticated computer modeling to recreate a virtual topographic landscape from the system’s terrain alerting database. The HSVT graphics look so real, it’s almost like having a clear-day “out-the-window” view of your flight situation — even in the darkest nighttime VFR or other low-visibility conditions. Proven AHRS attitude/heading reference delivers high-precision spatial sensing for G500H digital instrumentation, replacing old-style gyros. 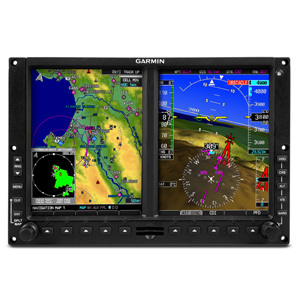 G500H can be purchased with the PFD on either the right or left side of the bezel for easy viewing depending on your pilot seat position. With a GNS 430W or 530W series HTAWS navigator interfaced to G500H, certified “forward looking” terrain avoidance (FLTA) predicts in advance where potential hazards exist. 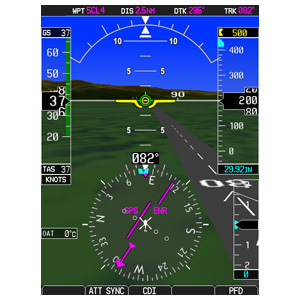 An HTAWS warning received from the GNS 430W- or 530W-series navigator displays as an annunciation to the left and aligned with the top of the Altitude Tape on the G500H PFD. 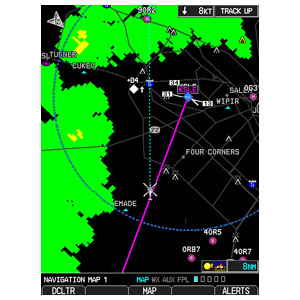 To monitor location on unfamiliar airports, G500H is preloaded with geo-referenced SafeTaxi® diagrams for either U.S. or Europe airports, as well as a trial version of FliteCharts®. FBO, ground transportation, lodging and other facility information for most U.S. airports are also available through preloaded AOPA Airport Directory Data. When flying internationally, opt for global AC-U-KWIK airport directory data instead. Combine G500H with a variety of optional sensors and data links. 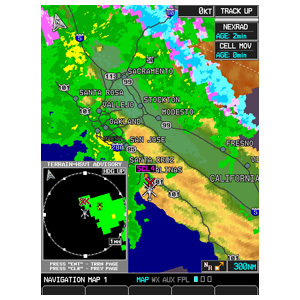 Our GDL 69 series receiver gives you weather alerts and NEXRAD coverage for the US via XM satellite datalink (subscription required). The GDL 69A can also be used to enjoy more than 170 channels of SiriusXM Satellite Radio inflight programming. Keep an eye on other planes in your vicinity with Traffic Information Service (TIS) alerts on your G500H by adding a GTX 330 Mode S transponder. Or, select from available TAS and TCAS systems, including our GTS™ family of advanced traffic surveillance products. 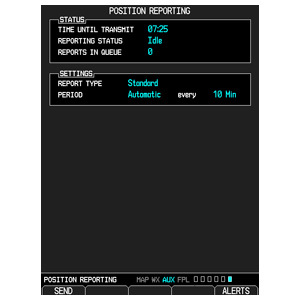 To keep track of mobile assets and personnel, we have developed the GSR 56, an Iridium® network-based satellite transceiver. It can make and receive both voice and text communications in the cockpit, as well as view World Wide Weather (subscriptions required). SL10/M/S/MS GMA 35 requires installation of GTN 7XX for control functions. GDL 88H GDL 69A also provides SiriusXM radio entertainment.